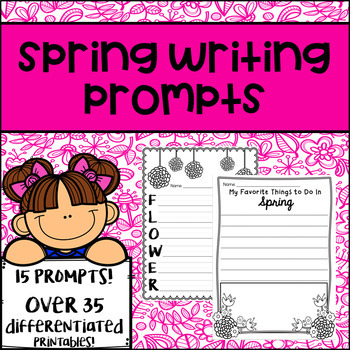 This pack of spring writing prompts has a range of activities to choose from! From acrostic poems, to informational and creative prompts, you are sure to find an activity that appeals to all students and their needs! Each prompt is differentiated with primary and intermediate handwriting lines. These activities require no prep! Just print and watch your students write their hearts away! 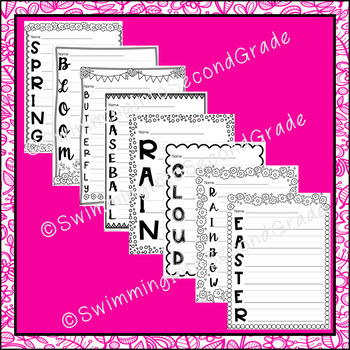 Students can color these fun spring borders and glue their writing piece to construction paper to create a bulletin board that is perfect for spring time!